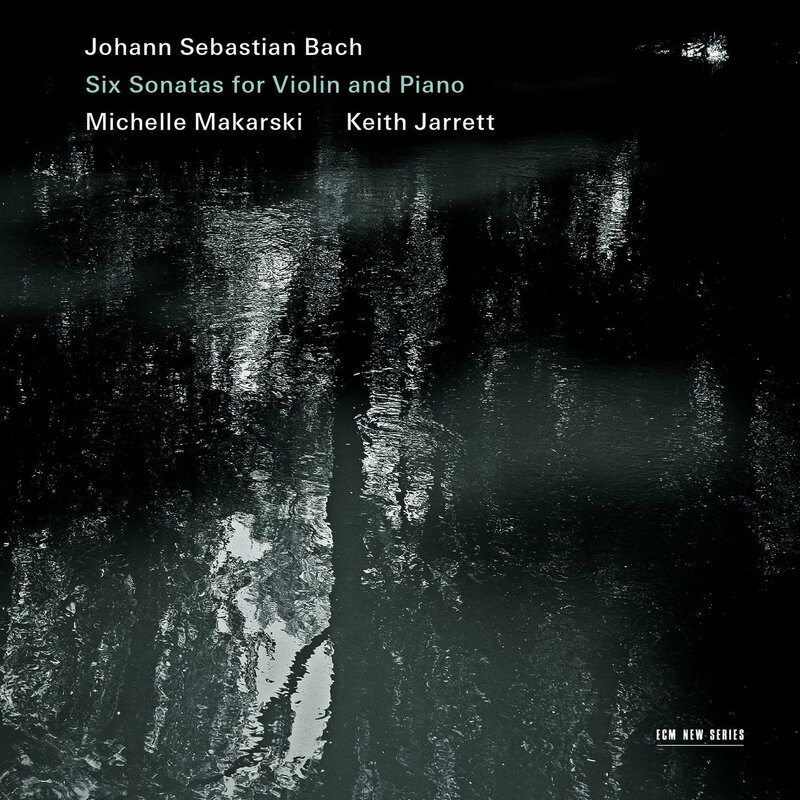 J. S. Bach’s Six Sonatas for violin and obbligato harpsichord (BWV 1014-1019) are not often recorded on piano, but few masters of the modern keyboard could make the combination work so articulately as Keith Jarrett. Although he might just as well have opted for harpsichord, as he did in duet with violist Kim Kashkashian for a benchmark recording of Bach’s Three Sonatas for viola da gamba and harpsichord (ECM New Series 1501), this time around the piano seems an intuitive choice. And for a partner, Michelle Makarski is ideal. Not only because she and Jarrett had been playing these pieces together on their own time for two years before stepping into the studio, but more importantly because she recognizes the power of an unfettered performance that serves the music over ego. Written in the early 1720s during Bach’s Cöthen period, which encompassed both the tragedy of his first wife’s death and the triumph of his Brandenburg Concerti, these sonatas have rarely sounded more tessellated. There is a rounded quality to Jarrett’s pianism, which cushions Makarski’s pin-like precision. Thus, to the common characterization of the violin and keyboard as equal partners in these pieces, Makarski and Jarrett seem to say, “Let’s just see where the music leads us.” And indeed, spotlights of favor fall on either instrument at different points throughout the cycle. Half of the sonatas are in major keys (Nos. 2 in A Major, 3 in E Major, and 6 in G Major), the other half in minor (Nos. 1 in b minor, 4 in c minor, and 5 in f minor). The majors are distinguished by their dulcet introductions and masterful harmonies, but each has its own idiosyncrasies. Where No. 2 balances spiraling architecture with pointillist delicacies, the astonishing No. 3 boasts interlocking color schemes and a heartrending Adagio, in which the violin emotes with all the history of a folksong. Yet the Sonata No. 6 is the most maturely constructed of them all. From its opening courtship of wing and wind, through the uniquely solo keyboard meditation at sonata center, and on to the boisterous finish, it follows a downright linguistic arc of development. It is sometimes tempting to treat slow movements in Baroque repertoire as filler. Not so here, for in them Bach has cut some of the most precious jewels of his entire oeuvre. 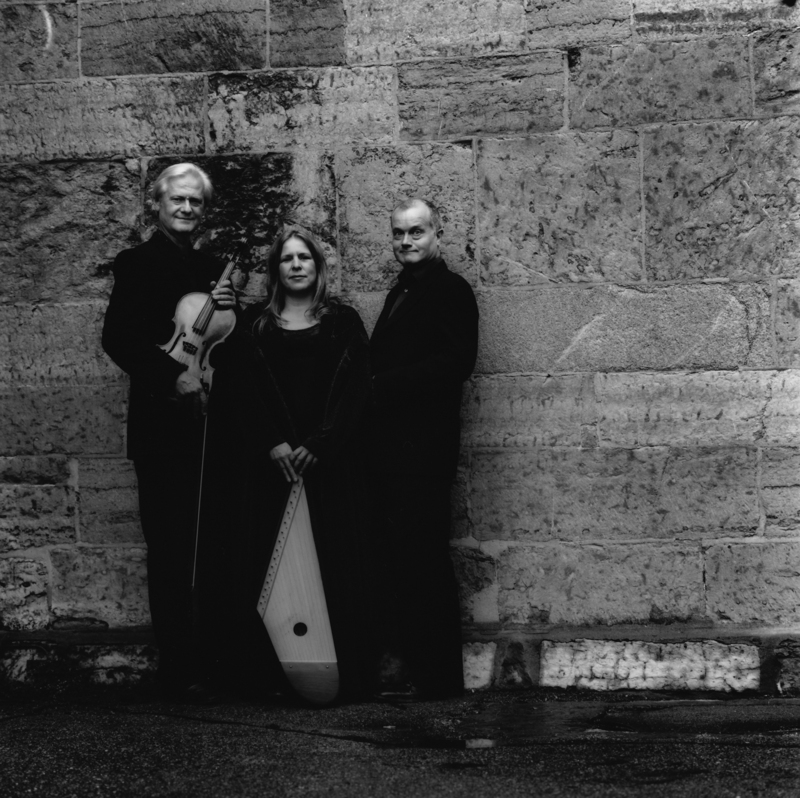 In addition to their robustness and lyrical integrity, Makarski’s uniquely nuanced vibrato lends them sanctity over ornament. Whether shining through Jarrett’s laden branches in the Andante of the Sonata No. 1 or chaining double stops through the Adagio of the Sonata No. 5, she treats each draw of the bow as a song in and of itself. Jarrett, by contrast, excels in the faster portions, showing in the final Allegro of No. 1 why his sense of rhythm is so acutely suited to Bach. The two find deepest equilibrium in the Sonata No. 4, which is like one giant helix, unbreakable and spinning. The album’s booklet contains no notes—rare for an ECM classical release. Then again, the music has all the notes it needs. These roll off the fingers of the present interpreters like fluent speech from the tongue, creating a book on the first listen, the binding of which will only strengthen as its cover is opened time and again. ECM may be nominally dedicated to contemporary music, but Johann Sebastian Bach has been a vital touchstone in its classical recordings. Whether acting as a foil to modern works in Thomas Demenga’s multi-album traversal of the Cello Suites or as the exclusive subject of fresh interpretations by Keith Jarrett and András Schiff at the keyboard, Bach has either existed as a point of reference or as a master being reckoned with anew toward the asymptote of definitive interpretation. Only Christoph Poppen has gone a step further, weaving Bach into the work of Anton Webern (as Webern himself had done) and exploring hidden chorales of the solo violin literature. That was, until Maria’s Song, which is by far, and may always be, ECM’s profoundest reckoning with Bach. 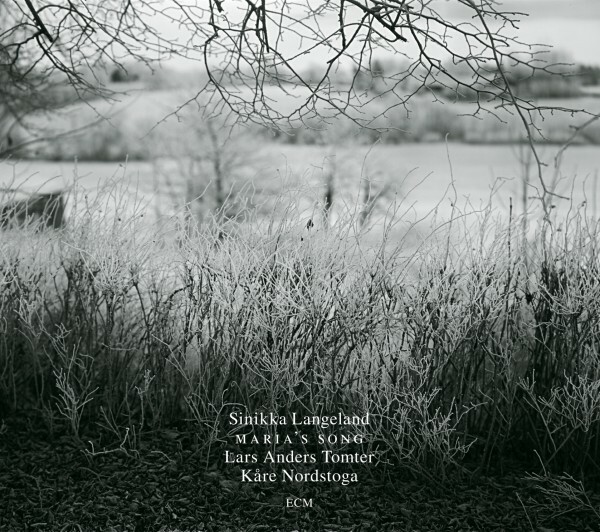 Previously for the label, Norwegian folk singer and kantele (15-string Finnish table harp) virtuoso Sinikka Langeland had recorded Starflowers and The Land That Is Not, both of which sought to explore the shared heart of folk and jazz around the heliocenter of Langeland’s full-throated voice. This time she is joined by Lars Anders Tomter, previously of Ketil Bjørnstad’s The Light, who plays a Gasparo da Salò viola made in 1590, apparently one of the world’s finest examples of the instrument. With them is Kåre Nordstoga, playing the 30-register Baroque organ of Trondheim’s Nidaros Cathedral. Nordstoga is the principal organist at Oslo Cathedral and a Bach specialist, having performed two complete traversals of the composer’s organ music over 30 Saturday recitals in 1992 and 2000. The program is a mixture of Marian texts from Luke set to folk melodies and medieval ballads, then threaded through the loom of Bach’s hymns (and the Concerto in d minor, BWV 596) at the organ. In addition, Tomter plays viola arrangements of the Solo Cello Suite No. 1 in G major, BWV 1007 (played an octave higher) and the Chaconne from the Solo Violin Partita No. 2 in d minor, BWV 1004 (transposed to g minor). A few things make this a remarkable project. First is Langeland’s immensity of knowledge, on which she draws to assemble a program of such originality that it feels as seamless as its pairings of word and melody. Second is her voice. Possessed of a luminescent, youthful energy, her intonation makes scripture feel like a sheaf of grain distilled into something digestible by the soul. Last is the utter respect with which the musicians perform, respect that emits a sacred light of its own. And no wonder, considering that the spirit of these texts was at one time forbidden in Norway, where the Reformation of 1537 disbanded monasteries and consigned church relics and artifacts, including depictions of Mary, to state storehouses. Worship of the Virgin thus became the stuff of hidden messages and codes, and in these songs Langeland has enacted their recovery. “Lova lova Lina” is the first encoding of Mary and, like many of Langeland’s segues throughout the disc, is sung with only the cathedral’s resonant air as accompaniment. Along with the “Ave Maria,” it reappears transformed. At times, Langeland’s fingers find their way to the kantele, both as support for the voice and as a voice unto itself. A reprise of “Lova lova Lina” is especially potent for marrying the two. Narratively inflected singing throughout makes of the shuffled program something of a passion play, in which dialogues between Heaven and Earth come to define the natural order of things. One might expect the viola to brighten Bach’s solo cello writing, when in fact it casts a deeper, more spectral shadow. The feeling is distinctly cyclical, as emphasized by the vocal surroundings, and reaches open-gated confluence in the mighty Chaconne, over which the “Ave Maria” is dutifully papered. The organ, too, sings as it speaks, lifting Langeland in “Vom Himmel kam der Engel Schar,” BWV 607 and, on its own, ascending the spiral staircase of the “Fuga sopra il Magnificat,” BWV 733 at hub of it all. Even the Concerto transcription unleashes the Holy Spirit at an intersection of past and future. As Langeland recalls in her liner notes, “While we played our way through time, the Nidaros Cathedral reflected the spiritual currents of a thousand years. The large Russian icon stared at us as we began to record. The dawn light poured through the huge rose window as we finished the night’s recording.” To be sure, we can feel all of these things…and more. Igor Stravinsky (1882-1971) and Johann Sebastian Bach (1685-1750). Mirrors or two sides of the same coin? 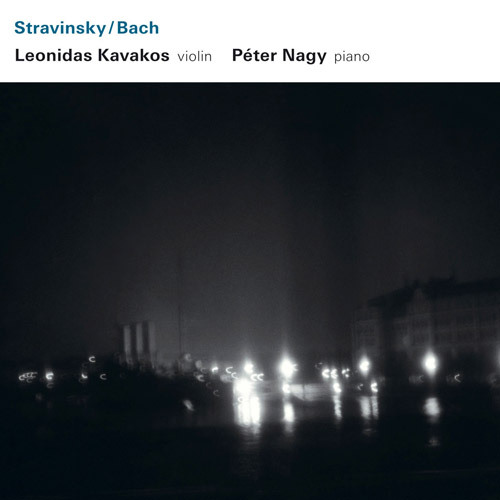 This electrifying album by Greek violinist Leonidas Kavakos and Hungarian pianist Péter Nagy answers the question: neither. Stravinsky was indebted to Bach, as so many who put pen to staves ever will be, and explored the Baroque master’s architectures to the very end—even working, the story goes, on Bach transcriptions on his death bed. Yet the Russian iconoclast accomplished a remarkable something that set him apart. Unlike so many before him, he did not shine his light through Bach’s prism but rather shined Bach’s through his own. Stravinsky’s crucible in this regard was at its hottest in the Duo concertant (1931/32). One of two pieces written for violinist Samuel Dushkin (this for violin and piano, the other his 1931 Violin Concerto), it was not in a format the composer favored at the time but one he nonetheless reconciled through neoclassical rigor. Oscillating between the earthly and the mythological, the piece its composer called a “musical versification” finds unity in gradually joining the two. The first and last of its five movements—the Cantilène and the Dithyrambe—bear mysterious nomenclature. The one blossoms from a pianistic blush to an overpowering charge from the bow. The other drips with lachrymose quality, suspended high above Olympus casting threads to mortal hearts down below. Between them is another dyad, this of two “Epilogues” of friction and protraction in turn. And with them is the sprightly Gigue, one of Stravinsky’s finest moments, played here with integrity. What sets Kavakos’s playing apart is his ability to be at once fluid and sharp, a quality that lends itself well to the above but also to the below, for in the Partita No. 1 in B minor that follows we hear exactly this contradiction at play. Although two centuries separate these works, Bach’s solo violin masterpiece feels remarkably present in this rendering. Kavakos gives the almighty Allemande a stately treatment, beginning with it a series of four movements and their faster “Doubles.” The first of the latter reveals barest tuning issues in Kavakos’s instrument, but these are quickly brushed away by the Corrente, which he plays with especial care, in the process exploiting the record’s engineering at full potential. The Sarabande likewise unfolds in its dance of blade and water toward the final Tempo di Borea and its Double, by which the music reaches a cavernous interior filled with stalagmites pontific. The program returns to Stravinsky with the 1933 Suite Italienne for violin and piano. Based on his ballet Pulcinella, it proves the glistening counterpart to the Duo concertant, the spring to its thaw. The affirmation of its introductory motives barely hints at the fiery Tarantella which is the piece’s prime turn—a ball of yarn expertly unraveled. Kavakos’s hefty double stops nourish their flames on Nagy’s pointillist sparks. The folk-like Scherzino is another highlight and sets up the Minuet and Finale with authorial flourish. From these concentrations we return once more to Bach, whose Sonata No. 1 in G minor reveals further affinity. From the cautious first half to the dawn-like awakening of the third movement and into the forward thinking of the final Presto, it develops itself like one long proclamation—slowed here and sped up there—until it glows. Those thinking of buying this album for ECM’s treatment of the Bach will want to check out Holloway and Kremer’s versions first. In any event, the Sonatas and Partitas will always overshadow their interpreter. For the Stravinsky? Look no further. 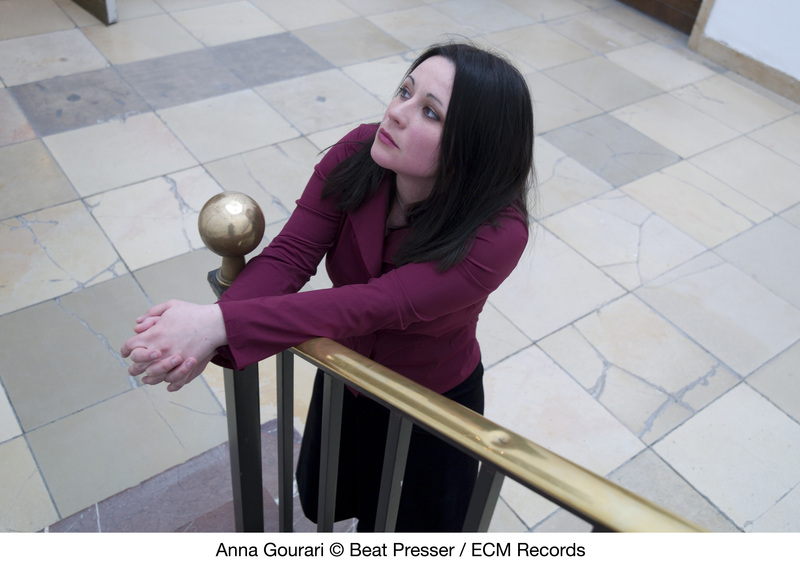 Born 1972 to a family of musical pedagogues, Russian (and, since 1990, Munich-based) pianist Anna Gourari makes her ECM debut with a characteristically unconventional recital…or so it would seem. Two of J. S. Bach’s chorale preludes, as arranged by Ferruccio Busoni, parenthesize the program’s modern heart. “Ich ruf’ zu Dir, Herr Jesu Christ” and “Nun komm’ der Heiden Heiland” both come from the incomplete Orgelbüchlein, a pedagogical scrapbook compiled in the earthy 18th century. Busoni’s erudite touch burgeons further in Gourari’s, opening a doorway all the grander for being so austere. Yet here is a Bach that, while adorned, breathes with the minimalism of a single voice. The tenderness of these leaves betray nothing of the fragile limb to which they cling. From light to brokenness, the program tilts its wings eastward to Sofia Gubaidulina’s Chaconne. Composed in 1962, this deconstruction of a b-minor triad represents an key period in the Russian composer’s development. One may be tempted to read grand philosophical statements of suffering into such music, when really it turns itself inside out for all to hear. This is not an evocation of suffering, per se, but an acknowledgment of its necessity. The effect is such that even the overt references to Bach come across as probing, strangely confident, and spiraled like a unicorn’s horn. Its elegiac impulse is foxed by ragged edges, given light in measured doses. Here is a lighthouse without a vessel to guide, a signal without a flare. Paul Hindemith (1895-1963), a prolific composer yet one whose piano works have only in recent years begun to crop up on CD programs, is given plenty of space in Gourari’s ecstatic take on his Suite “1922.” Although its effect would surely have raised a few eyebrows that same year, as was Hindemith’s intention, today his experiment stands as a fascinating cross-section of early expressionism. Over the course of five parts, this jocular, if rigorous, piece takes us on a wild ride. Titles like “Shimmy,” “Boston,” and “Ragtime” transport the listener to a time when said dances still hit the floor, when financial doom was still some years away. Such historical perspective lends poignancy to the central movement, a “Nachtstück.” Like a fragment of title card found in the wreckage of a silent film warehouse, it tells only part of the story that its context makes abundantly clear. Hindemith’s references are seeds for more complexly developed ideas and beg comparison with contemporary George Antheil, whose own “Shimmy” graces Herbert Henck’s fascinating Piano Music. Gourari’s resolute command of, and passion for, the material makes this a benchmark recording. Busoni resurrects Bach again in his supernal arrangement of the Chaconne from the solo violin Partita No. 2. The mighty Chaconne has always been a keystone in Bach’s solo literature. That it speaks with the same colors is testament both to arranger and performer. 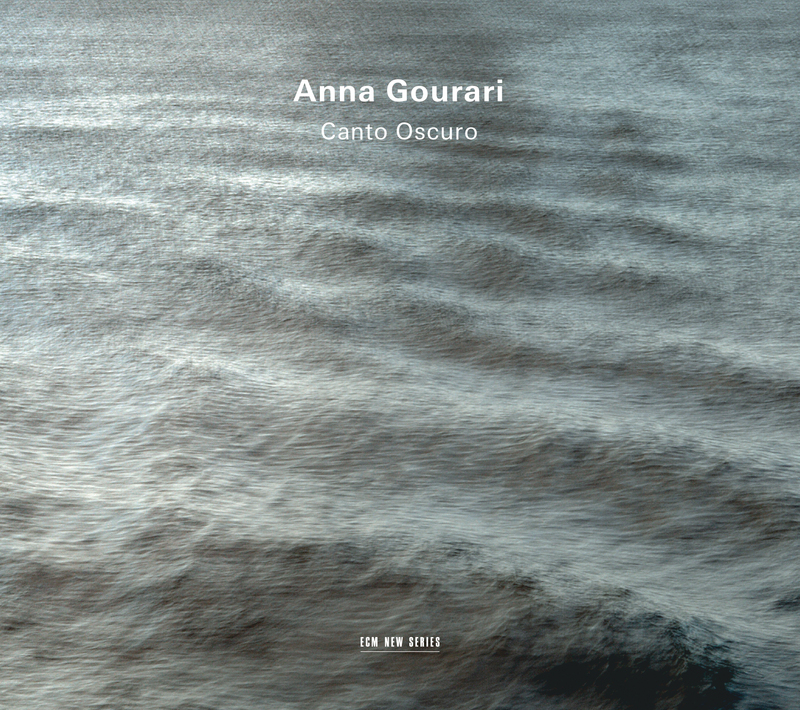 From the chord-enhanced arpeggios to the requisite drama throughout, Gourari allows the music to resound not by means of surface but interior. If Busoni has given it an elastic quality, then she has stretched it to the limit in an interpretation that promises to open new doorways with every listen. Were this program a long day, Bach’s e-minor Prélude (transposed here to b minor) would be its longed-for slumber. In a stained glass arrangement courtesy of composer-conductor Alexander Siloti (1863-1945), this relatively small piece from the Clavier-Büchlein vor Wilhelm Friedemann Bach reminds us that duration has nothing to do with density. There is bounty in this music that one discovers through living it. Johann Sebastian Bach’s The Well-tempered Clavier is more than a magnum opus. It’s an origin story. Practically speaking, it houses a prelude-fugue couplet for each of the 24 major and minor keys, twice over. Dated 1722 and 1742 respectively, Books I and II are the subjects of two earlier ECM New Series recordings by Keith Jarrett, while pianist Till Fellner has lent his shadows to Book I. Jarrett made the bold decision to record Book I on piano and Book II on harpsichord, thereby giving discernible substance to the two decades that separate them. Fellner’s poignant rendition is only half completed, and it remains to be seen whether the rest will reach market. Until then, label devotees have another. In his marvelous liner notes, Paul Griffiths characterizes the WTC as “one of the central thoroughfares of western music.” He goes on to speak of prelude and fugue as gate and path or, another way, “Things in The Well-Tempered Clavier always come in pairs, but pairs that, unlike butterfly wings, display an essential asymmetry, if an asymmetry that will sound inevitable, even natural.” Doubtless, this asymmetry is inevitable, for it is the pollen that keeps Bach’s fields fragrant. As a renowned veteran of the composer, András Schiff dusts decades of return into these flora. For him the question is not whether to approach them as studio recording or as performance, because for him the two are inseparable. “To me, Bach’s music is not black and white; it’s full of colors,” he asserts. As in the cover art by Jan Jedlička, the music crosses lines in a deepening network of variation. Schiff concludes his portion of the booklet with a note on pedal use—or, in his case, total lack thereof. The music is all the freer for it, the affectation a potent expressive tool. Like a digital photographer reverting to manual, Schiff’s process gives vision to its subject with meticulous care. Whether or not this creates a “purer” sound is entirely subjective, though one can hardly fault the sincerity of his choice, for indeed the pedal is often fantasy’s servant. In its place is a tasteful reverb, lacquered at Lugano’s Auditorio Radiotelevisione svizzera under the watch of engineer Stephan Schellmann. Eschewment of pedal shortens the distance between attack and delay, making it more akin to human speech. Already, in the C major Prelude of Book I, we feel a linguistic touch speaking through those famous arpeggios as Schiff makes of the piano a syllabic organ, no mere percussive machine. His ability to distinguish palatal colors becomes further apparent in the A-flat major Prelude. Schiff’s hands-only approach lends pop and shine to the faster movements, and to the slower adds emotional weight. It also makes the rhythmic complexities glow. Whether the playful grinds of the C minor and C-sharp minor Fugues or the balance of taste and virtuosity of the D major Prelude, the relationship between medium and message becomes, again, inevitable the more one listens. Perhaps most illuminating in this regard is the equal partnership of the left and right hands. Listen, for instance, to Schiff’s handling of the C-sharp minor Fugue ground, which folds words into sentences and sentences into stories, or the coalescence achieved in his E minor Prelude. From epic carriage to dulcet tickling, such nuances sweep the landscape free of its weeds. Other moments, like the F-sharp major Prelude, are the espresso in a latte universe. Also noteworthy are the extended trills, which Schiff varies to suit the mood at hand. Twirling like maple propellers at one moment (G minor Prelude) and methodically slow the next (F-sharp minor Fugue), they hold us captive at any speed. Brilliant execution of the C major Prelude and C-sharp minor Fugue stand out in Book II, sounding at least like three hands. The sheer volume of intimacy in the D-sharp minor Prelude draws a comparable spiral of creative focus, and the famous F minor Prelude enchants, ghostly but tangible. The F-sharp major Prelude is yet another notable. This Schiff manages beautifully, shifting with perfect pacing between the dotted eighth-sixteenth couplets and moving into strings of sixteenths in this 3/4 piece. Likewise, his downward chromatic steps in the A minor Prelude are intuitively realized. The final Prelude and Fugue in B minor scintillate with new beginnings and good tidings. Thus, Schiff has locked us into Bach’s prism (especially in the E minor Prelude of Book II) with the precision of a Spirograph wheel and has held us there until the design can no longer repeat itself. Happiness theorists believe that we become habituated to surpluses of pleasure or positive stimulation, to the point where even the most meaningful activities lose the value they once held. Bach’s WTC noshes on time with the same measured reflection that the iconic shepherd chews on his wheat stalk. In that idle motion is a world of temperament whose secrets will never be fully disclosed. Listening to this music today, it is easy to imagine how different our world is from the time in which it was written. 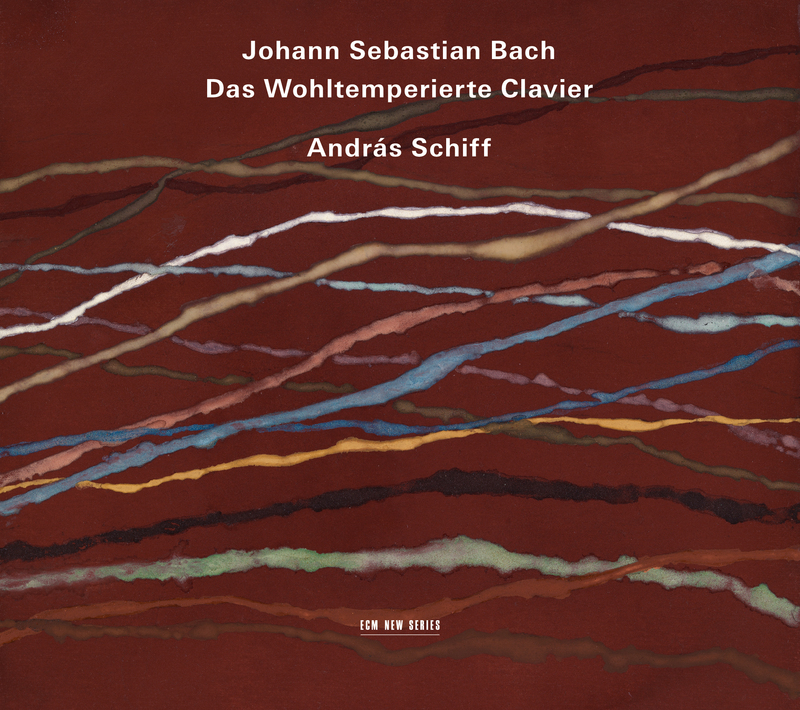 The beauty of Schiff’s performance and Bach’s insightful writing is that, despite the potential infinitude of performances the score invites, at its heart is a survival instinct that will never falter so long as life walks this earth. 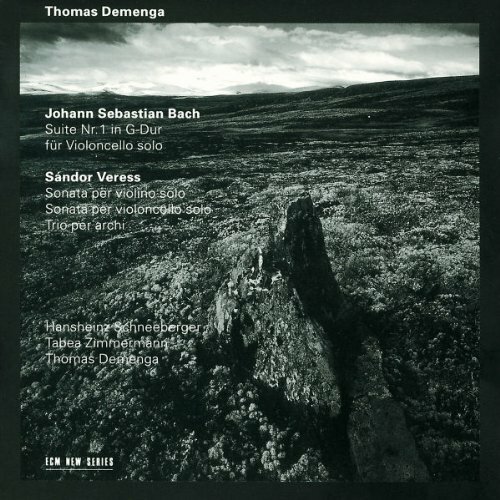 Although this album is the second of five on which cellist Thomas Demenga boldly pairs the cello suites of J. S. Bach with chamber works from modern composers, it was the last to reach my ears. As a longtime admirer of Sándor Veress—whose music I discovered, no less, on Heinz Holliger’s champion recording for ECM—I was excited to sit down and mull over this disc at long last. Under Demenga’s bow, Bach’s Suite No. 1 for Solo Cello in G Major flickers with candlelit intimacy, honed like the wood from the instrument through which it emotes in that distinct and mineral tone. One imagines the room where it was first practiced, walls dancing in a quiet play of light and shadow: the player’s arched head, swinging hands, lithe fingers curling about the neck of the one who sings. As to the later suites, Demenga brings a unique mix of fluidity and rusticity to his sound, but above all pays attention to negative spaces in a way that any accomplished Bach interpreter must. We hear this in the pauses of the Courante and in the substantial attentions of the Sarabande, which he suffuses with a downright soulful air. And through the subtle dramatic shape he imparts to the Menuets he dances his way to a reflective brilliance in the Gigue. With this perfect tetrahedron so thoughtfully folded before us, Veress’s 1935 Sonata for Violin may seem to break the symmetry. Yet the sonata, among Veress’s first published works, more importantly reveals an economy of notecraft on par with the Baroque master. Its slow-fast-slow structure betrays a more complex and organic geometry that begins with a jig of Bartókian proportions and seeps through the Adagio’s quicksand, only to rise again, grabbing the tail of gorgeous gypsy air into the fresh air of the final leap. Violinist Hansheinz Schneeberger, who made his ECM debut with Demenga on the latter’s first Bach pairing, plays this jewel with an intensity and focus familiar to anyone who enjoys Kim Kashkashian’s take on solo Hindemith. Despite the meager comparisons I’ve attempted to draw to other such composers, this music thrives with a forward-looking robustness all its own. The light at the end of this tunnel comes in the form of Veress’s Sonata for Cello. Composed in Baltimore, the 1967 piece also takes a three-movement structure, this time marked “Dialogue,” “Monologue,” and “Epilogue,” which, as Holliger notes in an accompanying essay, takes us through an inner turmoil on the path toward self-liberation. For me, the most solitary movement is the Dialogue. Its dirge-like density betrays an ecstatic turmoil while keeping a hand cupped to the ear of some cherished and unrecoverable stillness. By contrast, the Monologue seems almost resolute as it traces fingers blindly through the ashes, from which the final movement rises in its own agitated way with assertion on the tongue. As a student of Veress, Holliger no doubt took on some of his mentor’s quirks, and the influence of said Epilogue rings clearly in Trema. Violist Tabea Zimmermann joins the roster for the Trio for Violin, Viola and Cello, backing us into 1954. The 20-minute piece takes two movements, the first of which moves like molasses into a dulcet and spectral territory ahead of its time, while the second brings the patter of urgency to a journey of immense detail and brilliance. Of this journey the lowly reviewer can make no definitive claims. Naysayers of the modern may make a delightful discovery or two along the way, even as they cling to Bach, while defenders of the twentieth century will immediately recognize that its music would be nowhere without him. Either way, I can only commend Demenga and ECM for an ongoing commitment to bring their programming alive with the benefits of (im)possibility. It was during a concert given by the Tallinn Chamber Orchestra and Estonian Philharmonic Chamber Choir in the fall of 1995 that a Bach motet’s masterful weaves of light and sound first nourished these ears. 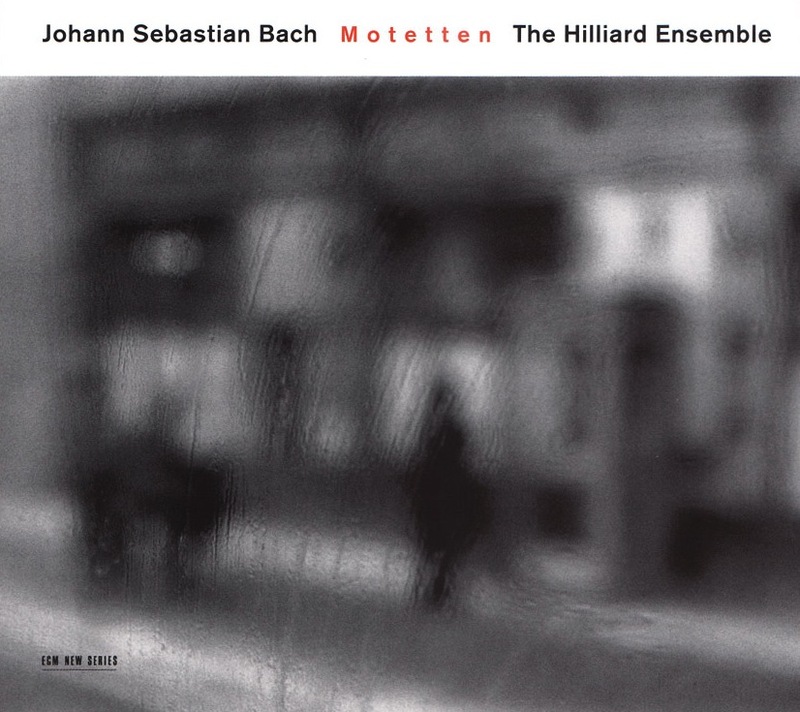 With infinitely branching listening paths before me, however, I never explored the motets further—that is, until the ECM connection came full circle with this wondrous recording from the Hilliard Ensemble. Or should I say, the Hilliard Ensemble in duplicate, for here the quartet is joined by sopranos Joanne Lunn and Rebecca Outram, countertenor David Gould, and bass Robert Macdonald for a special session in the familiar acoustics of Austria’s Propstei St. Gerold. Very little is known about the circumstances surrounding the composition of these motets, but as Martin Geck’s liner notes remind us, their significance in Bach’s oeuvre is on par with The Well-Tempered Clavier, equally monumental as examples of counterpoint and absolute harmony. They are, one might say, extra-musical insofar as they express themselves far beyond the words at their core, beyond the note values ascribed to those words, and beyond the constraints that pigeonhole them into meters and divisions. Rather, they lose themselves blissfully in the finer details of their flowering. From the first threads of Singet dem Herrn ein neues Lied one can feel the utter control these singers possess. Listening to them is like feeling the music being born from Bach’s mind, fresh and free from the pitfalls of excessive scrutiny. Lunn and Outram stand out especially, ringing out over the others like carillon overtones in a music overcome by a melismatic spirituality (listen also for their striking high that ends this opening motet). The shimmering space therein gives us some of the more intimate moments on the disc, nesting in mind and body with all the gentility of an autumn breeze. These motets all end on resolved chords, offering a sign of hope and tranquility in the wake of their roiling seas. On that note one can hardly praise this recording without highlighting the crisp diction throughout. This attention to linguistic color is perhaps what most separates it from those rendered in larger forces. Moments like the “Gute Nacht, O Wesen” portion of Jesu, Meine Freude are as tactile as our own bodies. Others of sheer transcendence abound, as in the final chorale of Fürchte dich nicht, ich bin bei dir and the Alleluia of Lobet den Herrn, alle Heiden. Yet it is in the last, Ich lasse Dich nicht, du sengnest mich denn (often elided from Bach motet recordings, due to its contested authorship), that we find ourselves bathed in deepest calm, for here is the breath turned sacred, that it might begin a life of its own.